Zelezarny Velky Senov s.r.o. is a producer of cold rolled and by galvanical process metal-coated steel strips and of non-coated steel strips. 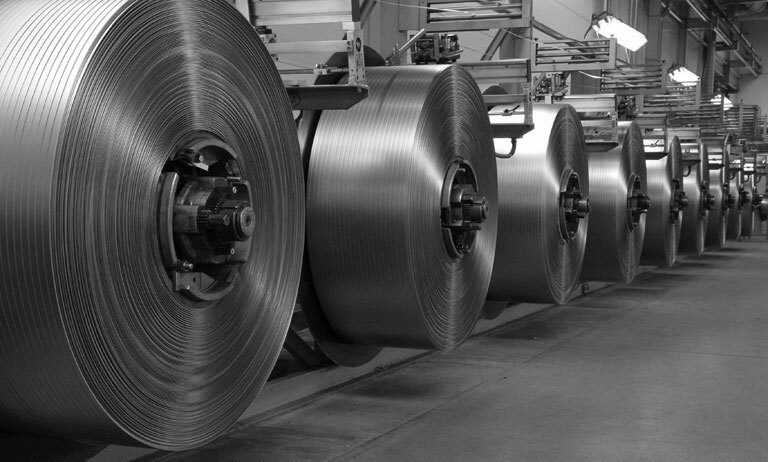 A coated steel strip provides a variety of applications within a various industry lines. The steel is produced with the, zinc-coated, zincchromate-coated, copper-coated, brass-coated, and nickel-coated surface treatment, in various steel grades of wide range of tensile strenght Based on customer's request, can be the surface polished, brushed, grinded, and cut to wide range of strip widths. Our products are delivered in coils/bundles. Our final products have application in various kind of industry and for different purposes such as: leather industry, automotive, electronics, construction industry, measuring and control equipments, tools, construction, office supplies manufacturing, furniture manufacturing, packaging, etc. Our company produces its products by the method of the electrolytical way metal coating process using acid baths which are friendly to the environment. All our products are in agreement with the stringent national and European standards - ROHS, REACH.